Ever since Freud, psychoanalysts have explored the connections between psychoanalysis and literature and psychoanalysis and philosophy, while literary criticism, social science and philosophy have all reflected on and made use of ideas from psychoanalytic theory. The Academic Face of Psychoanalysis presents contributions from these fields and gives the reader an insight into different understandings and applications of psychoanalytic theory. 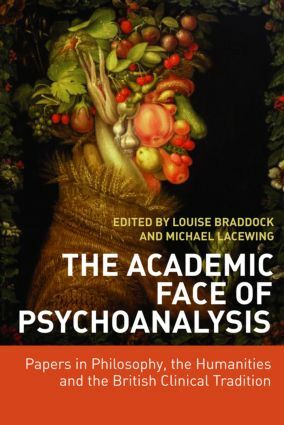 Louise Braddock and Michael Lacewing successfully bring these contributions together with an in-depth introduction that allows the reader to explore the connections between the different disciplines. The multi-disciplinary approach to this book is rare; it will appeal to academics and students, from the subject areas of psychoanalysis, humanities and social science. Dr Louise Braddock is a bye-fellow of Girton College, Cambridge. Dr Michael Lacewing is a lecturer at Heythrop College, University of London.